 Our Santa Cruz Mountains locations are located 7 miles outside the city of Santa Cruz, along California's Central Coast.  2700 S Kidder Creek Rd. Kidder Creek is in an amazingly unique location in northern California just south of the Oregon border at the base of the breathtaking Marble Mountains.